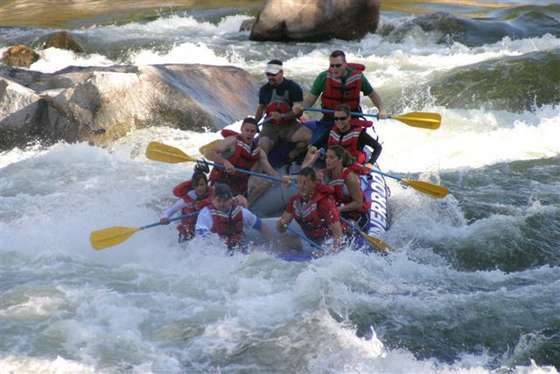 This past Saturday friends of ours invited us to go whitewater rafting down the Main Payette. I was a little bit nervous about going beforehand, it has been a few years since I went last. It ended up being so much fun. I loved it! The raft before us flipped in one of the rapids, but we managed to stay afloat. There is something exhilarating about rafting, never knowing what is going to happen. On the way up, we saw this poor elk. He should be in a truck not in this subcompact car. Those city people need to learn a thing or two about dignity!